The 39th annual Poly Royal Truck and Tractor Pull will be held Saturday, April 14. Located in the pasture across from the Cal Poly Crops Unit on Mt. Bishop Road. Gates open at noon and the event starts at 1 p.m. Tickets are $10 for adults and $5 for children 10 and under. 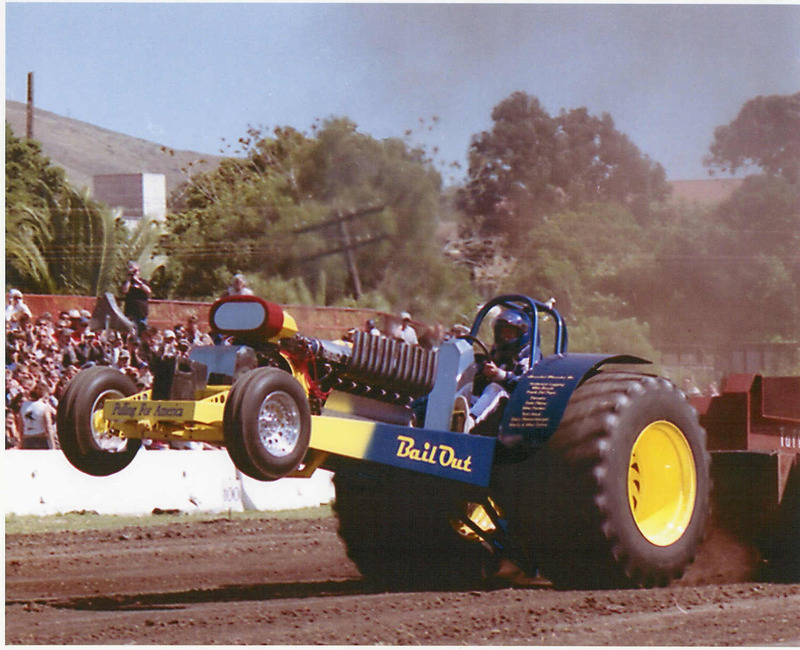 For more information or to purchase tickets, visit http://www.tractorpull.calpoly.edu. You can also follow the team on Facebook and Instagram @CalPolyTractorPull. Last year, the College of Agriculture, Food and Environmental Sciences launched the Mark and Mike Zohns Out-of-the-Classroom Experiences Endowment in honor of the brothers’ dedication to preparing students in and out of the classroom. The endowment will benefit students in both the Horticulture and Crop Science Department and the BioResource and Agricultural Engineering Department. 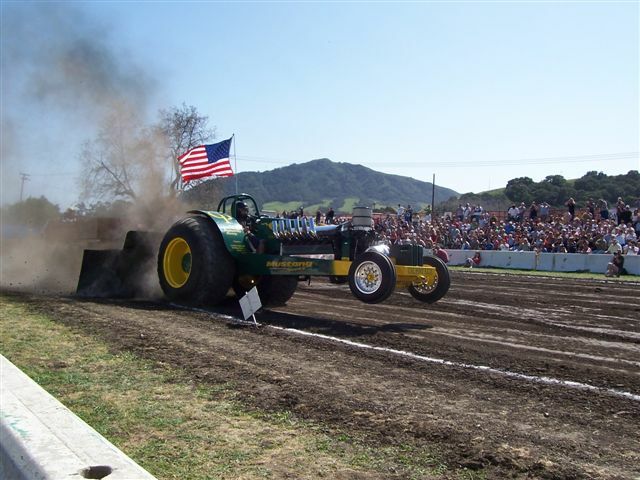 This year, our goal is to complete the endowment with the support of Cal Poly Tractor Pull alumni and friends like you. With Open House weekend around the corner, both Zohns brothers are donating $1,000 each and challenging you to match their gifts. With your help, we can complete the endowment and offer transformative, hands-on activities out of the classroom for generations to come. Mark Zohns, professor in the BioResource and Agricultural Engineering (BRAE) Department, began his relationship with Cal Poly as a student studying agricultural engineering in the late 70’s and early 80’s. As a faculty member with the BRAE Department, Zohns advised the Agricultural Engineering Society for all but one of his years at Cal Poly, earning the Club Advisor of the Year award multiple times. He also co-advised the Tractor Pull and was recognized with the Distinguished Teaching Award in 2001. Zohns spent countless hours repairing tools and equipment used by students in labs. With his oversight, students have developed innovative solutions for numerous industries and agencies throughout California, including kelp collection equipment for the city of San Diego and a self-propelled gladiola harvesting system for Por-La-Mar Nurseries in Santa Maria. He will retire after 30 years of service and will teach classes during spring quarter of 2017 and 2018. Mike Zohns, professor emeritus in the Horticulture and Crop Science Department, retired in the summer of 2008. He joined the department in 1973 after earning a bachelor’s degree in ornamental horticulture from Cal Poly the same year. During his 35-year tenure as a faculty member, he earned multiple awards for service to education and the green industry, including Cal Poly’s Distinguished Teacher Award in 1980 and the Cal Poly CAFES Meritorious Performance and Professional Promise Award in 1985. Zohns’ passion for inspiring students in and out of the classroom was clear with his involvement as co-coach of the Cal Poly PLANET Landscape Team (now known as the National Collegiate Landscape Competition Team) for more than 15 years, contributing to Cal Poly placing first more than any other college or university in the history of the competition. He also served as faculty advisor to the university-wide Poly Royal Board, FFA State Finals Horticulture Judging Contest and the Agricultural Ambassadors student group. He is an active member of the agricultural community, presenting at Cal Poly’s California Agricultural Leadership Foundation Workshop for the past 12 years.